They – whoever they are – say that life is a marathon. I get the point – that it is long and not a short-term thing and requires endurance etc. But I don’t think life is a marathon. For one thing, marathons are exhausting and people collapse at the finish line. Life is not Designed to be that way. Life is not a marathon; it is not made up of decades or years or months strung together all the while just looking for the finish line. Life is made of moments. Small, priceless moments. Moments that, if recognized and embraced, if savored, become rare tiny gems. 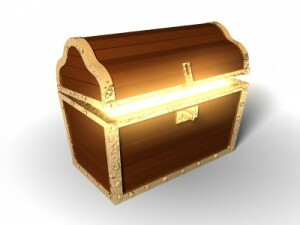 And if you are careful, you can collect a treasure-chest full of them. If you’re careless, you may have nothing but sore legs at the end of the race. He broke. He crawled on my lap and wept. No agenda. Nothing to gain. He just was deeply sad to have missed “good night” to his 19 year-old brother. He sat on my lap (he’s a biggy) and cried for few minutes. I could have patted him off and sent him to bed. But I had the state of mind – of heart – to just wait. This was a priceless moment. This is life’s savor. I am holding my youngest son to comfort him over not being able to show enough love to my oldest son. And I wasn’t running anywhere. This entry was posted in Christian Living by Bryan Davenport. Bookmark the permalink.